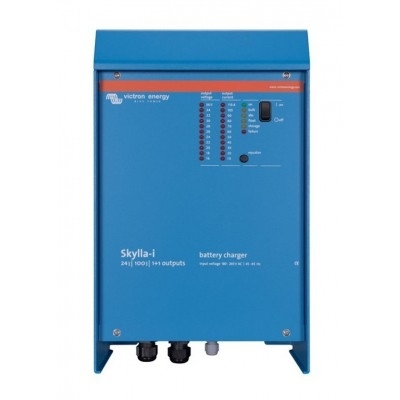 The Victron Skylla-i is a modern and powerful battery charger that withstands the rigors of an adverse environment: heat, humidity and salt air. BatterySafe mode: preventing damage due to excessive gassing. Storage mode: less maintenance and aging when the battery is not in use. Smaller and lighter compared to similar models. PowerControl: set a maximum shore power.